Varieties in the DRYSPELL range have been specifically selected due to their high tolerance of dry conditions once plants are mature and established. These are varieties, which are known to be worthy 'all round' garden plants, require minimal maintenance with reliable performance. For ease of recognition they have been labeled simply by the collection name followed by a descriptive colour although cultivar specifics always appear on the back of the label for those requiring more information. It is hoped that the collection will help consumers identify plants which, although not always 'new', are solid performers in our current climatic situation eliminating the need to research suitability. Tough, dry tolerant, long flowering are just some of its virtues. 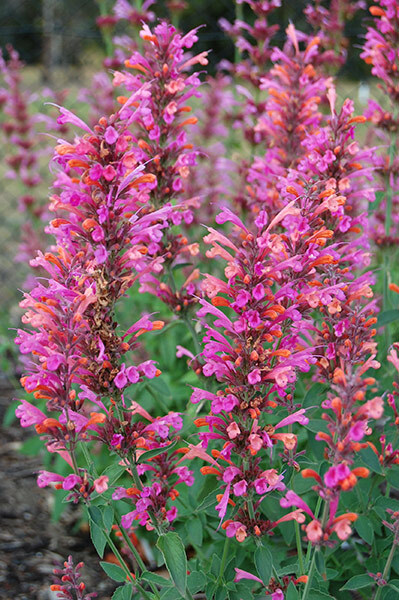 A dazzling show of bi-coloured, tubular flowers in hot pink and orange provides a visual feast from summer through autumn. Rich in nectar it attracts birds and butterflies to the garden and has a minty fragrance if foliage is crushed or bruised. A compact variety ideal for small spaces. Low once established requiring only occasional long soak during extended periods of heat. 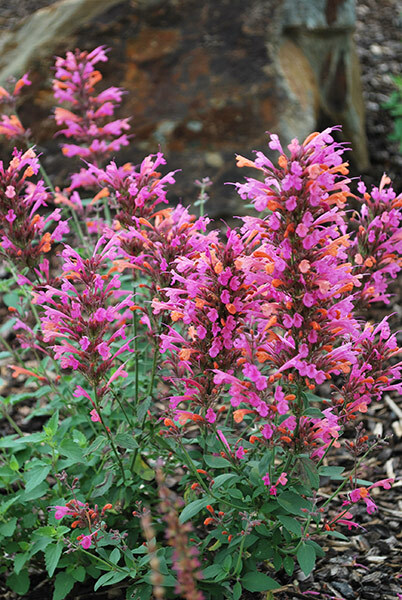 CARE: Easy to grow in most soil types which are well draining. Prune back older foliage at start of spring when new growth appears and apply a slow release fertiliser. Mulching around plant will help retain moisture during dry periods.